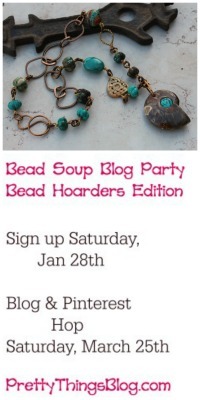 You know I said on my original Bead Soup Blog Party Reveal post I wasn't happy with how my necklace turned out. Most of you gently agreed -- and can I say I like that those of you who agreed were brave enough to say so? I get tired of what I call the "Very Nice" syndrome. It's what happens in this house whenever I hold up something I've made and ask my husband what he thinks. He always, always, says, "Very nice." So I ask Zack and he gives me the real scoop. ANYWAY. I posted on Facebook and asked for suggestions and took some to heart and spent several hours reworking. Once again, I took out some expensive beads I'd purchased then hoarded which is stupid because why did I buy them only to lock them away and rub my hands together and whisper "My Preciousssss"? Ridonculous. I have to admit, this time Rick didn't say "Very Nice" but said "Big Improvement". This time, I made it a long necklace with three strands of teeny, tiny multi-faceted rondelles and pears. My challenge this time (other than these beads are incredibly little with miniscule holes) is I don't make multi-stranded necklaces. I can't get the strands to lie correctly . Nope. Can't do it. But this time, it worked. The outer strand is opaque Sleeping Beauty turquoise, which is the bluest (and one of the most expensive) turquoises out there. I hesitated on buying this strand because it's been knocked off so often as dyed howlite, but I trust my source and this is the real deal. In between are tiny (oh my aching eyes tiny) 2mm Hill Tribe silver spacers. The second strand is slightly smaller garnet for a little more sparkle, with skinny, thread-thin Thai tubes. They're so thin you have to be careful not to use beads with regular-sized holes or they'll slide right through them. And the third strand is chain linked with very sparkly peridot pears. So, what do you think? Improvement? What I worried about was if I did something simple, as in the After design, I wouldn't be doing justice to the bead. I felt I had to do something WOW and WOAH to be creative and Bring It. But in the end, I tried too hard and fell flat. Now the bead can speak. I hope Manuela agrees. Quote of the Day: "Fear Comes to Tea"
I definitely think it's an improvement. I like how the simple strands funnel my eyes toward the focal bead. When I asked my husband if he liked my BS necklace there was a long moment of crickets chirping. So I said, "Well, I guess THAT'S a no!" And he said, "It's just very YOU." LOL. Thankfully, so many kind people left thoughtful comments on my blog post. WELL, now let me just say that while I honestly liked the first one, I can understand when the creator doesn't. Happens to me all the time and I scratch my head when some likes something that I am ready to take apart! That being said I LOVE THE REMAKE!! Funny because I thought the first design was really beautiful - I couldn't see why you were going to redo it. But now that I see the new and improved version - oh I love the multiple strands and the different colors/stones are gorgeous! I must say I like both versions. Maybe the first looks different when worn, but I think it looks nice from what I see in the photo. One of the things I liked about that one was probably that there wasn't too much colour to draw attention from the focal, but still enough to not make it feel like just "a pendant on a chain" if you know what I mean. On the new one, I really liked the turquoise strand. The whole necklace looks good, of cause, but it was that detail I noticed first. Love the remake! That focal you could put on a shoe string and it would be gorgeous. The colors and the small beads and silver look great. Ok, I can see beauty in both designs. The round dangles in the first one draw my eye to the circles in the focal bead. The linear multi strands in the second draw my eye to the lines on the focal. So, win/win either way for me. For my personal style, I'm drawn to the second. I'm thinking I need to rework my heart necklace in a similar manner. And I need to take a class on crimps, cause one of my bracelets fell apart as I was putting it away, haven't even worn it yet! That's why I don't string!! I can honestly say I do like both Lori! Less is more sometimes and other times you really want a WOW! I'm just drooling over the focal still. What an amazing art bead! Multi-strand necklaces flummox me, too! I thought maybe I was the only one. I do like the redo much more, and I'm kicking myself for not seeing the original post till now (can we call it vacation brain? K, thanks). Like Kelly said up above, I like that the focus is now pointed towards the focal - it's beautiful, Lori! Love it! That looks great with the three strands. I really like both designs! To me in the new design you compliment the details of the focal bead and on the original necklace, the focal bead stands out with the accent of the dangles. Both the designs are lovely and perfect for a variety of outfits. The problem is, you need two of those lampwork beads...and then you can give one of them to me (ha!)! this is a big improvment!, I did like the first one, but I LOVE this one! Its beautiful! I didn't have a problem with the original, but I have to agree the new one is better. It has more of a wow! factor. You know, I honestly did like the first one, but the second one is WOW. 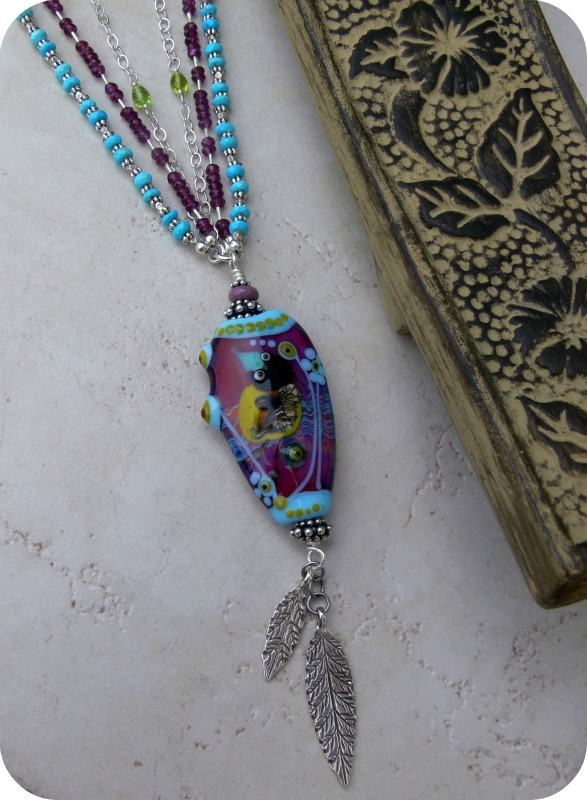 You managed to pull out the rich colors from the focal while keeping the strands delicate enough to enhance, rather than distract from, the gorgeous art bead. Hooray for second chances! Well I must say that I did like the original necklace because it was very different..... but ..... you have done a "very nice" job at remaking it and the colors are just gorgeous. 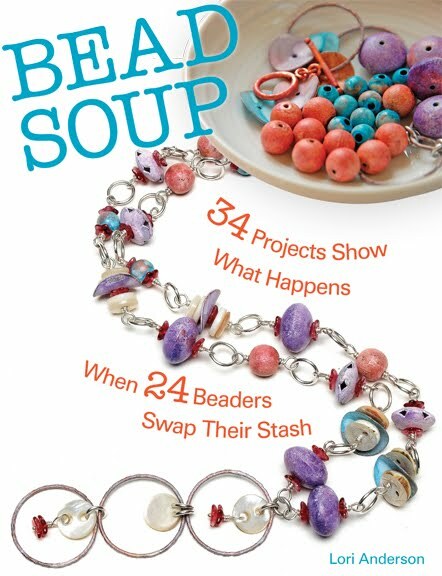 I think I am going to give this bead soup a go next time. Yes, I do like this one better. I love the tiny gems which really compliment the focal without overshadowing it. I love multi-strand pieces but the cost of making them sometimes is not worth the effort to me. Sometimes a design just doesn't feel right and you can't sleep until you get it right. I've also been pulled in by the idea that a challenge piece must be grand and make a statement, when sometimes less really is more. The after is a big wow! 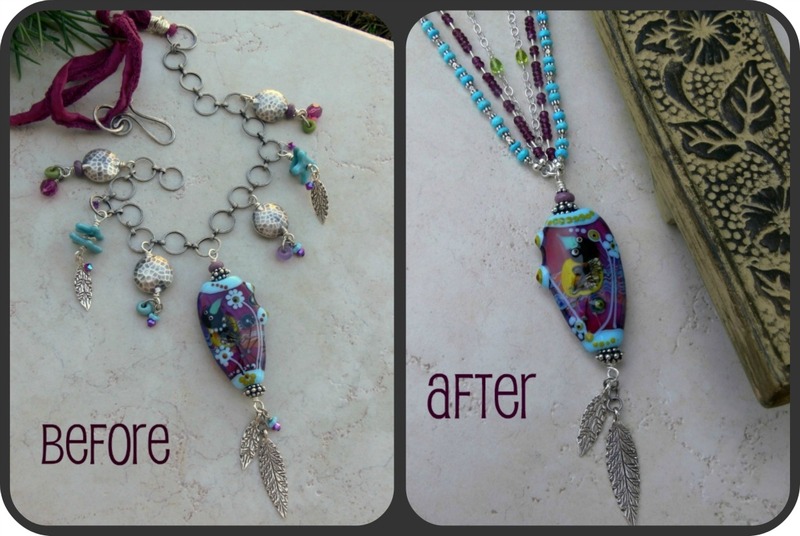 My favorite part of the before was the focal with dangling feathers. The other dangles just aren't my thing, but different strokes. The multistrand is perfect, each strand with complimentary colors that bring out the best that wonderful focal has to offer. however.....I absolutely LOVE it now! yay! go you! Love 'em both Lori. I wish it were easy to swap the bead between the two chain types for different occasions. So glad you kept the feathers for the end though. I am often grateful that John professes to have no artistic streak at all, but I know I like what he likes. His reactions and input is very natural and unaffected by what is thought to be artistically correct and can be of great use lol! Holy BLEEP Lori, fantastic! So how did you find time to do this over the weekend woman????? Great to see you, btw!!!! Even though I thought that the first one was a really lovely necklace this is definitely an improvement! The simplicity is showcasing the focal fabulously! At first, I loved your original design. Now, I can see what you mean. Seeing the two pictures side by side makes a difference. I think the silver dangles take away from the beautiful glass pendant. Love the multistrand and the colors really make that pendant pop! I liked the first necklace when I saw on the 17th, but this one is very beautiful! The tiny gemstones on each strand is just the right size to not take away from the pendant, but to compliment it. Beautiful!! The new look definitely makes your amazing focal stand out!! I like both too, but I would buy the 2nd one. : ) Now that I see them side-by-side I can see that the first one took something away from the focal amazingly beautiful bead and maybe even cheapened it. Good lesson to follow your gut I'd say. Love it! Hmmmm - hard to decide - I really like them both! Yeah, now that you've the two beside each other, I like it a lot better. I love multi strand necklaces but I also have issues trying to make them lay right or not tangle. You did awesome! I am very into multistrands right now as well for some reason, I love it. My family does the same thing , but it's my daughter that always has the "real scoop" waiting for me LOL. I love your "precioussss" reference LOL I do the same thing , and my sons actually will do the full movie voices for me on that one! I think it's LOVELY! And I'm sorry, but you cannot say that you can't do multi-strand necklaces. You made this beauty! Well I guess you can call me a very nice person but I do like the large chain link airy feeling. Its perfect. Really - you - wow. And the high quality gems accentuate such a high quality lamp work bead... its really a perfect match of materials, design, scale... yup. You scored a "10". Oh yes. Definitely. It's hard to know until you do it, and yes. I do think it looks better. The simple beauty of the small but high quality beads on the 3 strands lets the amazing focal take center stage, while being just as important in their supporting role in the background. Lori, the remake really does have a lot of visual impact and the colour in the multi-strand necklace certainly draws your eye to the focal. But my personal preference is still for the original with its light whimsical feel - it really accentuates the design of the focal. Manuela certainly did issue you with a challenge.... and I think you've met it twice over! I love the second piece. I love the colors and I love the geometric balance- the blue turquoise with the silver spacers is perfect (there is a reason turquoise and silver is such a tradition.) The garnet works fabulously with the lampwork focal and the silver and I am impressed with how well it plays with the turquoise. The center strand is less impressive (meaning it is less eye-catching) but brings it all together for that geometric balance I spoke of earlier. Somehow I couldn't help but notice all the comments about small beads and the even smaller holes in those beads. It just reinforces all those comments about beadweaving being something you are unlikely to ever pick up. Even so, have you ever thought about kumihimo? It gives you the effect of weaving with an easy braid. I love this piece, well done! Love the after! I am very impressed with you being so real. Telling it like you see it. Some people are too proud to share the need for a do over. I liked the original necklace but it was something I couldn't see myself wearing. This one, though! This one's a keeper. Wow! Lori, I liked it the way it was before! However, now, I LOVE it! I am still liking the first one best. This one is lovely two. There is something about the suggestion of movement and playfulness that really attracts me to it. I actually like them both. Although I think with your do-over, it does draw a little more attention to the focal. Congrats on getting it the way you like it. Liked the first design but love the second. The beads and colors are beautiful and I would wear it everyday. The main bead is very original. It's and outstanding necklace. LOVE IT! I would by 1000 of them :-) Great to see you this weekend! I am one of those who did like the first one but the second one is fabulous...love the multi-strands and then that beautiful focal bead...wonderful make-over. While I probably don't have it in me to ever post a mean comment, I really did think your first piece was beautiful! I honestly think both are gorgeous in their own way. I do understand not loving a piece and wanting to rework it. I will not settle on a design until I love it. Otherwise it will bother me. Beauty is in the eye of the beholder! I'm casting my vote with the majority here. I find the 2nd one STUNNING, and it is the one I would most want to wear! Now the focal is truly the focal point. The color in the strands really made the focal pop! I liked the before, but now that I see the after, I love it. It's my kind of necklace. Really shows off the beautiful bead pendant. I like it much better! All the hanging stuff in the first necklace distracted from the wowza lampwork bead. The design of your new necklace enhances the lampwork and helps it to make an even stronger statement than it could alone. Nice work! It sure looked BEAUTIFUL in person! What a gorgeous necklace - and a keeper, Lori!! I, too, liked your first creation, but will have to admit the second one is fantastic! Your focal bead really does speak now! I also had a focal that I thought did not need to be 'outshined' by other beads, chains, etc., and thought so much that everything around it should be way smaller to make that piece pop, but I did not take it that direction like you just did. I added my beloved dangles but tried not to add to many. I was beginning to think that I really am not cut out for this jewelry-making. Looking at your piece now and remembering what I was actually scared to do, might just give me a tad bit of confidence in myself. You did a great job with both of yours. I admire you and stand in awe of your creativity. I think statement focals are a nightmare! So pretty but difficult to incorporate into a design. My strategy so far has been exactly what you did in the re-do piece: make a long chain and let the focal be the star of the show. You know that feeling you get when you get it right? You just know it's great! I like the after one. I liked the first one, but I love this one...what I like is the way the turquoise matches the line on the bead. I am also a lover of gemstones...especially in combination with a beautiful bead and silver. A perfect way to use this special beads. Like the first, LOVE the second! I'm hoping that you're keeping it just for you,and that every time you wear it, it brings you much joy! It's beautiful. To be honest... if you switched the words ‘before’ and ‘after’, I wouldn’t be surprised. I MUCH prefer the first one! To me the second one is just a fancy bead on a string of other beads. But at the end of the day it is Your necklace, and it doesn’t matter what anyone else thinks about it – if you were unsatisfied by your first attempt then it’s your right to make it what you want until you are satisfied. And I understand completely about buying nice things that seem too nice to use! I bet every beader does that! With such a gorgeous, big focal bead you need to let the attention be focused on it. The first one was beautiful but all those dangles get me distracted, the remake is perfect! Yessiree, Bob's your uncle, you have a winner here. The choice of beads complements the focal perfectly and lets it sing. It also seems a very Lori design. I like that. Sometimes simple is best. Although, I don't actually find this design 'simple.' It clearly has much thought in the choice of elements and their placement. You know, simple is not actually all that easy to do. It can be quite difficult to pair down to just the enough to make all the parts work together. This is a beautifully composed necklace. Well done! I do like to new one better, and however, I liked the old one as well. To me it just shows that good beads like Manuela's can hold there own in a myriad of situations. LOVE the new necklace. 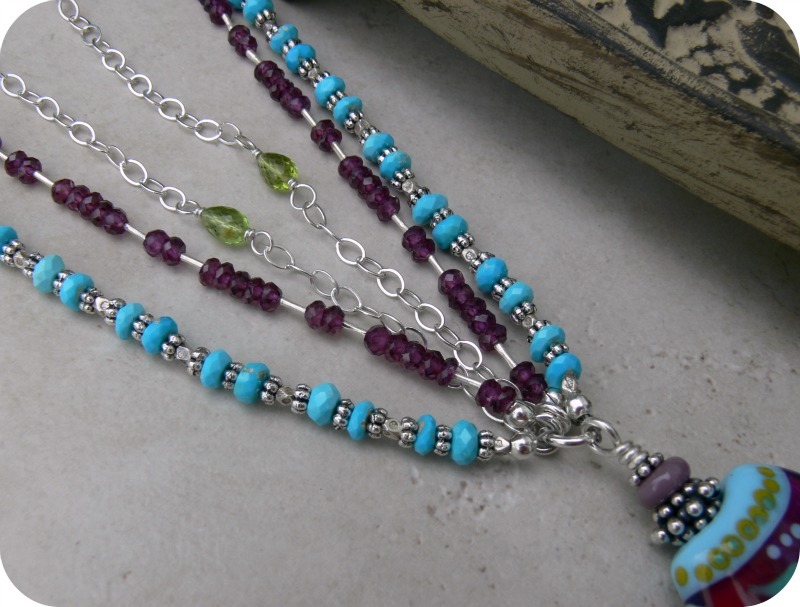 the 3 strands of color really compliment the focal bead without distracting from it. Gorgeous! Ripping apart is hard to do, but sometimes you just have to do it to stop that gnawing inside. I was honest when I said that I liked the first necklace. I really did, and do, like the playfufness of it. However, the second incarnation... WOW. That is a statement piece. With so many comments I'm sure it's all been said before. I think your 2nd version is a knock-out winner and then some. The garnet strand helps to bring out the wine color of the focal bead and makes it absolutely sing. Your first creation was very pretty but the second one is one that will really turn heads. As for me I like them both. The first is very new and fashion forward. It is what is being worn in high fashion. The second is as good, very traditional. I tell my students, "simplicity brings out elegance." This new version is a much stronger showcase of the focal bead. I love how each strand picks up one of the colors in that beautiful bead. The new piece is much more dynamic and memorable. I really like it. Oh, I like it! I love the colors and it's more streamlined. Plus the multiple strands and dangling pendant are more "on trend." The first one was great but I agree with you, I like the second one better. Great exercise! I am sighing with awe--I totlally love this! what a fantastic nieclace! The pendant definitely sings! It is a simple but perfect design for that pendant! Beautifully done redo! HUGE improvement! I love it. The colors are just knockout, and that's what speaks to me every time. I echo the others who genuinely liked the first design, but agree that this is even better! Simple to draw your eyes to the focal, but not boring at all. Go, Lori! well- I honestly did like the first design, but I LOVE this one. The color of the seed beads really do the focal bead justice, and brings out all its wonderfulness! I did not dislike the fun whimsical treatment used in the first necklace but this second try really really does do justice to the beautiful focal!! there is no distraction and the wonderful stones that you used to lead us to the bead take you to the bead with a big crescendo!!! It is the difference between "fun" and BRILLIANT!!!!! That Cinderella turquoise strand is something else and the garnet works with the bead so beautifully!!! My Grandmother always said if it is not quite right or does not fit correctly then you have to rip it out!!!! Every time that I am dissatisfied, I think of her saying those words and I rip out with glee knowing that it will only be better for it!!! Bravo !! Thanks for sharing!! Your first design looked very much to me like . . .you (with the dangles and everything.) I had no problems (per se) with it, but this new one is just fantastic; more simplified, more streamlined, just beautiful. 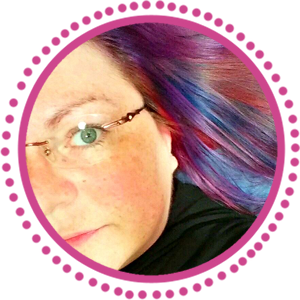 It's a fabulous re-do Lori!! That's weird, it seems I cannot find my comment my comment on your first creation. Anyway, I definetely think it's an improvement. I have never seen you working with multistrands, but in the end you landed on the best way to show that wonderful focal. YES! I love how it draws the eye to the bead, yet brings out the lovely colors and textures in the bead. Whoo-hoo! You are amazing. I appreciate your humility and willingness to share your creative process. 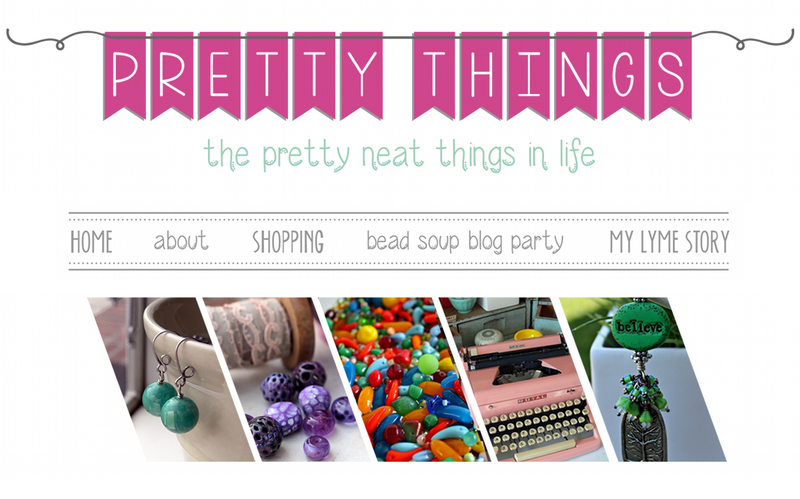 Okay - so I still like the first one, but that's because I like chain and dangles! However, the second one really picks up the colors of the focal bead so much better this time around and looks a bit more 'wearable' and I feel that it is a more fluid design over all. The multi-strand really does lend to the ultimate touch, here! Are you happier with it? Will you be more likely to wear it now? I love it and think it is a big improvement. But I don't get to wear it :o) If you are unhappy with it now, let me just save you the time and trouble by sending it my way. LOL! I loved the first necklace - I really did. However, now that I've seen the second, I can see what you're saying. Love the second! No more hoarding this looks like a KEEPER!!! Yes, you´ve got 100 points ☺ and I like it as it is. Multistranded necklaces are always funny but there is a harmony in those three very appealing to my eyes and that makes it so beautiful. The focal is hanging great and it is the catching point that attracts. Perfect. LOL,my English is weird but I am sure that you know what I mean. So sorry to be so late - shame on me (I couldn´t manage it better) but I am doing my best to catch up with everything. Thank you dear Lori for all your work you put into my beads, I love your remake ♥. Btw - has Zack a twin brother ☺? My hubby is always telling me how beautiful and perfect everything is *haahaaa*** - probably they love us so much. Your Zack is a gem like my Hartmut. I must say this design and beads do more justice to the focal bead although the other one ( just took another peek to remind myself)was very nice it really didn't do justice to the lampwork bead which somhow seemed a bit lost, well done Lori it was well worth redoing this necklace! oh thank goodness!!! Now you can wear it in joy instead of doubt, as it deserves to be worn! I really like your changes, it is much more sophisticated and showcases the focal better. Great job! The two necklaces are absolutely gorgeous. But to choose which is better, I like the new one. You made it simpler but add some beads that surely attractive to the eyes. I love it. I think we are our own hardest critics, I have taken things apart that other people just thought were beautiful, but my end results didn't make me happy...so I did it again, and maybe again until I felt like I did the best and it gave me peace. I like your first piece, but your second has an aura of sophistication, like it was designed with every last bead in mind and I love it! Good luck to everyone...hope you have had fun and learned along this experience!